The conventional wisdom is that Richard Nixon would have survived Watergate if he had erased the tapes. 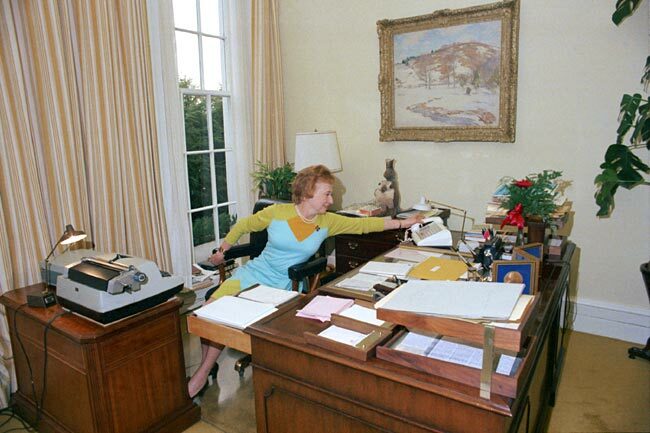 Democrats were outraged by the eighteen and a half minutes which were “accidentally” erased by Nixon’s secretary, Rose Mary Woods. In a late Friday news dump we learned that Hillary Milhouse Clinton, who once accused the Bush administration of shredding the Constitution with their use of private email, out-Nixoned Nixon. The New York Times and Politico reported that Clinton has deleted all of what she claims to be private email after October 28 when the State Department first requested that Clinton turn over the email kept on her private server, violating rules in effect as of 2009. The server has been wiped clean. At a news conference this month, Mrs. Clinton appeared to provide two answers about whether she still had copies of her emails. First, she said that she “chose not to keep” her private personal emails after her lawyers had examined the account and determined on their own which ones were personal and which were State Department records. But later, she said that the server, which contained personal communication by her and her husband, former President Bill Clinton, “will remain private.” The server was kept at their home in Chappaqua, N.Y., which is protected around the clock by the Secret Service. Multiple investigations so far have failed to show any evidence for the Republican conspiracy theories on Benghazi, but the disclosure from Clinton on Friday that she has deleted email requested by Congress will only serve to keep the witch hunt alive. While Republicans deserve to be faulted for the witch hunts they are pursuing, this does not excuse Clinton’s actions of using her private server to prevent disclosure of requested evidence to a Congressional committee. Clinton also used her private server to avoid complying with Freedom of Information Act requests for information from the news media. One of Clinton’s many bogus excuses for failing to follow government protocol in maintaining her email on a government server was that her email would be preserved because of being sent to State Department email addresses. It has since been found that the entire State Department was sloppy in maintaining email. Current Secretary of State John Kerry, who has admirably followed the law in using government email since assuming the post, has asked the Inspector General’s office to conduct “a review of our efforts to date on improving records management, including the archiving of emails as well as responding to FOIA and Congressional inquiries.” There have also been requests from the Republican National Committee and from House Benghazi Committee Chairman Trey Gowdy for the Inspector General to get involved. With the revelations that Clinton has erased the email, it might also be time for a special prosecutor to be appointed to handle the investigation of her actions. The claim that her email is public due to being sent to State Department or other government addresses is also bogus as not all of Clinton’s email regarding State Department matters was even sent to government addresses. The first reports of Clinton’s private email came when Gawker found the email address on hacked email from Sidney Blumenthal in 2013. Gawker has recently discussed her email further, reporting that “longtime Clinton family confidante Sidney Blumenthal supplied intelligence to then Secretary of State Hillary Clinton gathered by a secret network that included a former CIA clandestine service officer.” The post has further information regarding information sent to Clinton by Blumenthal regarding the situation in Benghazi. At this point it is not known if Clinton responded to Blumenthal while in office or if email from Blumenthal is included in the email she did release.